Viswajyothi vs. St Peters Kadayoiruppu. Photo Courtesy: Kerala Basketball Association. Babykutty/Press Release: Viswajyothi Engineering College Vazhakulum will take on Marian College Kuttikanam in the finals of the David Memorial Ever Rolling Trophy All Kerala Inter Collegiate Basketball tournament at the Viswajyothi Flood Lit Basketball court in Vazhakulam at Muvatupuzha. 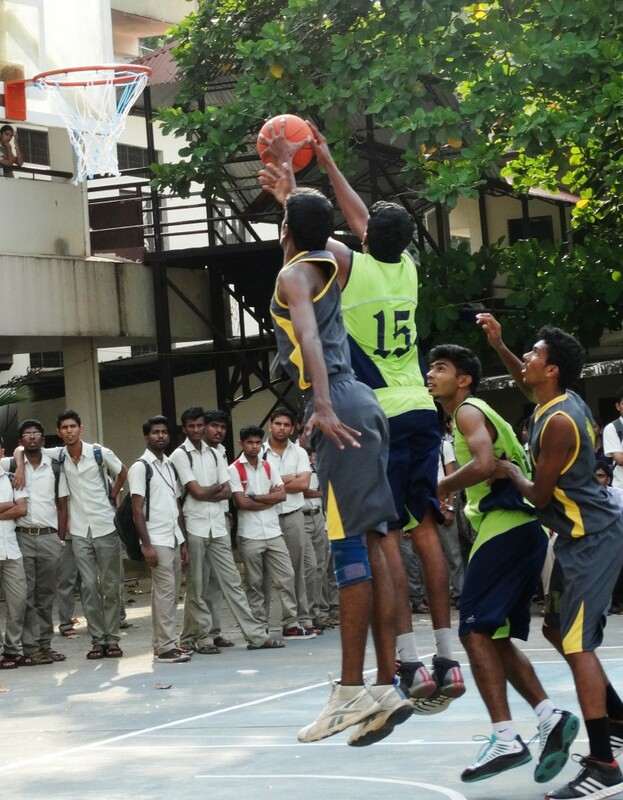 In the first semi final match Viswajyothi got the better of St Peters College Kolencherry 63-48 while Marian College Kuttikanam defeated FISAT Angamally to make the final. In the second semi-final in a closely fought match Marian College from Kuttikanam scrape past FISAT Angamally 61-59 to make the final. Earlier in the morning quarter final match, St Peters beat CET Thiruvananthapuram 39-16 and Marian College Kuttikkanam beat Nirmala College Muvatupuzha 55-25 to make their Semi Final.